Washington, D.C. — PRNewswire-USNewswire/ — National Geographic Channel today announced the cast in the upcoming television event Killing Jesus produced by Scott Free Productions. Kelsey Grammer (“Partners,” “Boss”) will perform as King Herod, the unrelenting and ambitious Roman King of Judea, who attempted to kill Jesus at his birth, and Stephen Moyer (“True Blood”) will portray Pontius Pilate, best known as the Roman governor who ordered Jesus’ crucifixion. Haaz Sleiman (“The Visitor”) will portray the title character Jesus, with Rufus Sewell (“Hercules”) as Caiaphas, high priest of Jerusalem and conspirator in Jesus’ death; Emmanuelle Chriqui (“Entourage”) as Herodia, ex-wife of Herod II and wife of his brother Antipas, who manipulated her husband and daughter into killing John the Baptist; Eoin Macken (“The Night Shift”) as Antipas, the tetrarch of Galilee and Perea and co-conspirator in Jesus’ death; John Rhys Davies (“Indiana Jones”) as Annas, a high priest in Jerusalem who first questioned Jesus and his teachings; Abhin Galeya as John the Baptist, who was considered a prophet and arrested and killed by Antipas; and Stephanie Leonidas (“Defiance”) as Salome, daughter of Herod II and Herodias, who led to the demise of John the Baptist. Rounding out the cast will be Aneurin Barnard (“The White Queen”) as James, one of Jesus’ 12 apostles; Vernon Dobtcheff (“Before Sunset”) as Isaiah, the prophet whom King Herod claimed came to him in a dream and prophesied his death; Tamsin Egerton (“The Look of Love”) as Claudia, the wife of Pontius Pilate; John Lynch (“Sliding Doors”) as Nicodemus, a Pharisee and member of the high court in Israel, who was sympathetic to Jesus; Joe Doyle (“Reign”) as Judas, the apostle who eventually betrayed Jesus; and Alexis Rodney (“Guardians of the Galaxy”) as Simon (Peter), one of Jesus’ 12 apostles and his closest confidant. The project films this fall under the guidance of U.K.-based director Chris Menaul, with a teleplay from Oscar- and Emmy Award-winning screenwriter Walon Green. Killing Jesus is expected to premiere globally on National Geographic Channel in 2015 in 171 countries and 45 languages, and in Spanish on Nat Geo Mundo. Killing Jesus is from the same team behind the Emmy-nominated Killing Kennedy, including executive producers O’Reilly, Ridley Scott, David Zucker, Mary Lisio and Teri Weinberg. For NGC, executive producers are Heather Moran and Charlie Parsons. 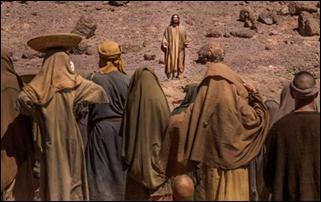 Based on the best-selling book by O’Reilly and Martin Dugard, the film will chronicle the life of Jesus of Nazareth through the retelling of the intense political, social and historical conflicts during the Roman Empire that ultimately led to his death. Jesus lived at a time when the Roman Empire dominated the Western world, and he made powerful enemies while preaching a philosophy of peace and love. Today, more than 2.2 billion people follow his teachings, but the intimate historical details of the time usually remain secondary to his story. 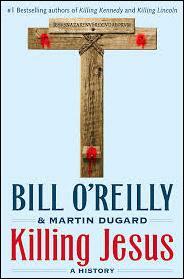 Killing Jesus marks the third collaborative effort for National Geographic Channel, Scott Free Productions and Bill O’Reilly.